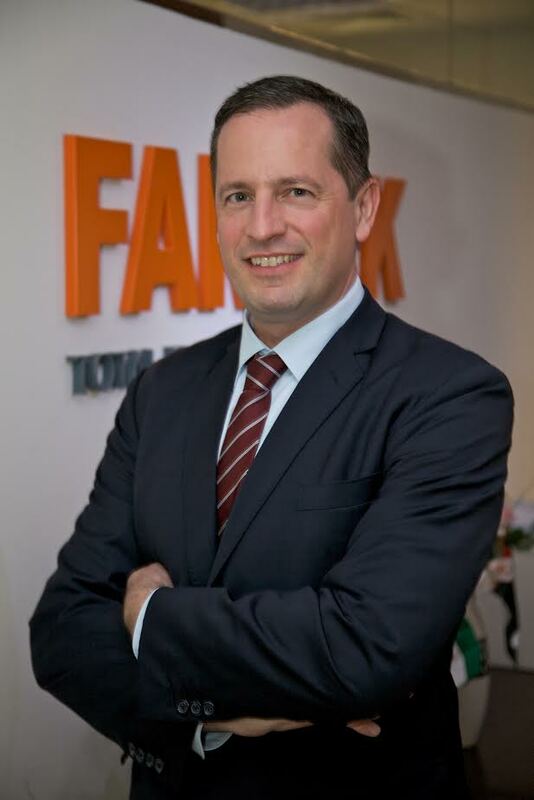 Leading UAE-based total facilities management (FM) company Farnek, is investing over AED150 million into a new state-of-the-art staff accommodation centre in Dubai Investments Park. The new smart centre which will become home to 8,000 employees, is situated opposite the Expo 2020 site, close to Al Maktoum International Airport-Dubai World Central, the sprawling development branded as Dubai South. “We have already purchased the freehold plot, which cost more than AED50 million and we have appointed multi-disciplinary architectural and engineering firm, Arif & Bintoak to create and build the design, which will cost an additional AED100 million. We should be ready to break ground next summer and complete by December 2018,” said Markus Oberlin, CEO, Farnek. Oberlin is in no doubt that the new 100,000 square foot facility will raise the bar for intelligent buildings through total efficiency and connectivity. “It will be a massive benefit for us to work with the team at Arif & Bintoak, highlighting our capabilities at the design stage, rather than retroactively, typically through benchmarking and auditing,” he added. As a market-leading innovative sustainability consultancy, two areas of design that Farnek will focus on will include waste management and smart energy concepts. “Designing a building that will be home to 8,000 people, will come with certain operational challenges, such as waste and sewage management. First of all, we will design an effective system to reduce the volume of waste generated that would ordinarily go to landfill. Then our drainage infrastructure will separate and recycle grey water for irrigation and through a highly efficient sewage system, effluent will be carried to the municipal sewage system and on to the Jebel Ali treatment plants,” said Oberlin. In terms of energy, 8,000 employees could run up a sizeable electricity bill. So Farnek, renowned for its smart energy concepts and accredited as an approved energy auditor by Dubai’s Regulatory Supervisory Bureau (RSB), will incorporate a complete energy management system. This will be designed to communicate with solar panels, control sensors, meters, feedback and analysis systems, to optimise the energy performance of the building, ensuring minimal utility bills and maximum comfort for its residents. Spanning 140 square kilometres, once finished, Dubai South will be one of the world’s biggest real estate projects. Indeed, it has been suggested that Dubai South will help to boost Dubai’s GDP by as much as 32% by 2020, with the growth of logistics and aviation key to its economic development, housing up to one million people. Work has already started to expand the existing terminal to handle five million passengers a year to 25 million by the end of 2017. “Relocating our staff to DIP will also enable us to optimise our operational efficiency, by capitalising on opportunities that the building boom in Dubai South will present to us. This will be especially true in the near term as the Expo 2020 draws closer and the site begins to take shape. Having up to 8,000 technicians just minutes away, will certainly give us a competitive edge,” added Oberlin. With a skilled workforce of more than 3,500 employees, Farnek has now added offices in the Northern Emirates, to its existing offices in Abu Dhabi and Dubai, to deliver professional FM services for over 2,500 properties to high quality, world-renowned organisations such as Dubai Airport, Emirates Airlines, Abu Dhabi Airport, Etihad Airways, Dubai Mall and Dubai’s latest high profile mixed-use community, City Walk. Farnek is also a leader in sustainability and has exclusivity agreements with international organisations such as Green Globe and myclimate. In 2007 Farnek was presented with the prestigious Emirates Energy award for producing the Middle East’s first hotel energy consumption benchmark survey and shortly afterwards launched the Middle East’s first carbon neutral transport. Farnek has also been accredited by the Dubai Regulatory Supervisory Bureau as an approved energy auditor.